The Iron Man Competition is the ultimate test of grit and determination. The staunch discipline required to undergo strenuous daily training, and the ability to push beyond all limits, are the attributes that shape Iron men and women across the globe. 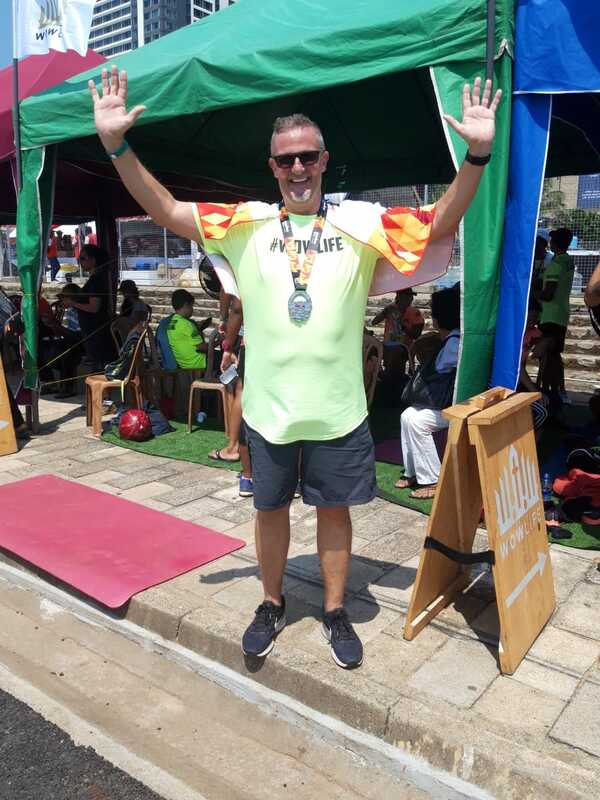 Competing in the relay event of this year’s Iron Man Sri Lanka Competition held on 24th Feb’19 in Colombo, was none other than Mount Lavinia’s Operations Director – F & B , Chef Ralf Vogt. Chef Ralf approached this competition with the same discipline, passion and pursuit of excellence that he applies to all that he does, which usually involves creating the most sumptuous dishes for our guests to enjoy! He instituted a daily fitness regime, including intense swim squad training in the pool and extended sea swims whenever the conditions allowed. Having never attempted anything like this before, and being in the older age range of athletes, he embraced the iron Man motto of ‘Anything is Possible’ which resulted in him completing the 1.9km sea swim in 48 minutes. Chef Ralf’s team went on to complete the 90km bike ride and 21km run to finish the competition in less than 7 hours, and earn well-deserved medals for their excellent achievement.